One of the enemies of the society nowadays is the mere existence of fake news. The more the technology evolves, the more the people get aggressive with spreading lies and leave the real stories behind in exchange of huge amount of cash. But despite such vices, there are people who work hard to disclose the truth, and nothing but the truth. By that, it makes the nation divided. 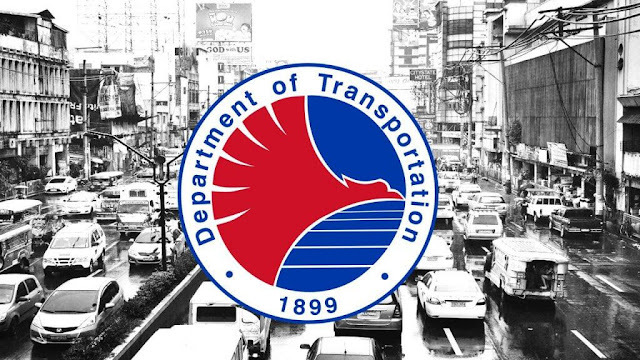 Department of Transportation has recently released a statement in lieu of a fake news from a Philippine Star columnist, Jarius Bondoc. Once, Bondoc is said to have allegations pointing against Sumitomo Corporation which he claims to have given a price quote of P7.5 billion for the rehabilitation of the MRT-3. Sumitomo denied the claims and released a statement that they did not submit any “price quote” to MRTC for the past five years. Today, Jarius points out that the incumbent Undersecretary for Railways Timothy John Batan used to work in DOTC and a left hand of a certain Usec then. Person who helps to review contracts in regards to Public-Private Partnership Projects (PPP). 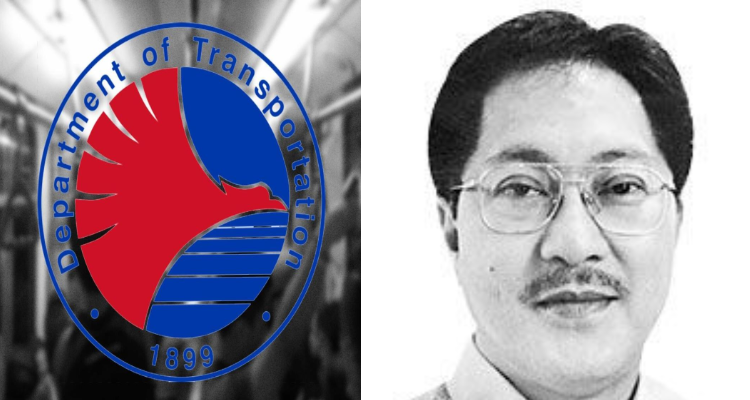 Added to that, the agency undergoes a complex process and screening before it came up with the P18-B peso budget for MRT rehabilitation project. A comprehensive system inspection was conducted by 150 Japanese and Filipino engineers from January to April of this year followed by a fact-finding mission of JICA (Japanese International Cooperation Agency). And even warned not to believe in news that just came out of nowhere. In the comment section of the said Facebook post, the DOTr revealed that they will take necessary legal actions in regards to the issue. Netizens insist the government agency to file a case against Jarius Bondoc. 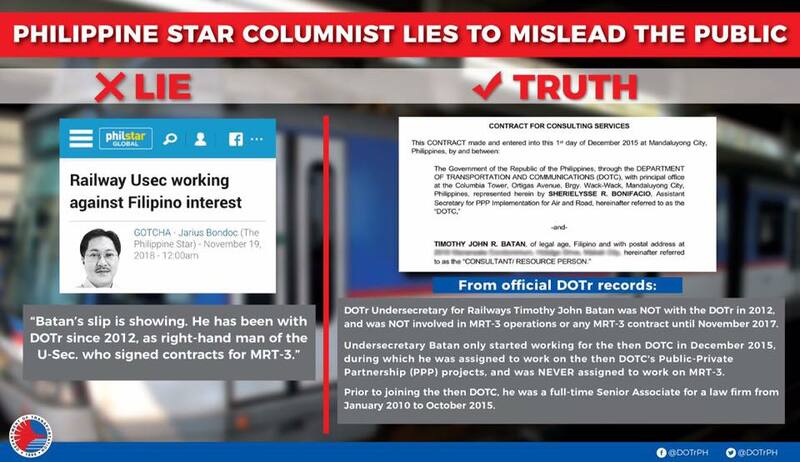 BASAHIN: Sumablay na naman sa inilabas na impormasyon ang kolumnistang si Jarius Bondoc ng pahayagang Philippine Star.